There’s not a one-size-fits-all or “right time” way of home ownership. Just how every person is different, the journey to home ownership is different for everyone. If renting’s all you’ve ever done, you might be thinking it’s much cheaper to rent your one or two bedroom apartment with a roommate or Sam, the Great Dane you inherited in your breakup. However, the amount you’re paying for rent (especially with a dog) is probably close to your potential mortgage. According to the latest American Housing Survey by the U.S. Census Bureau, the national average monthly mortgage payment for home owners was $1,030 for a 30-year fixed rate loan. There’s no doubt that you’ve noticed rental prices are increasing year after year too. RentCafe released an article stating that the national average for rent was around $1,300! Turn back if you’re afraid of commitment because a home is one of the most stable relationships you may have in your life. If that level of commitment terrifies you, then buying a home isn’t for you. However, a home can’t pack its bags and leave or cheat on you with someone else. If you’re not afraid of commitment and where you are now is where you want to be for 5 or more years, a home is a great investment. Invest in Yo Self! Parks and Rec, anyone? Anyway, you’ve graduated college, you’ve started your career, but you’re still renting the same apartment. It’s time to stop investing in your landlord. It’s time to start investing in YOU. It really is possible. Don’t believe us? Check out this Time.com article where three different millennials talk about how they achieved their dreams of home ownership. In your own home, you can paint the walls any color or remodel inside to raise the value of your home too. You don’t have to share a wall with that noisy neighbor that loves to blast Alanis Morisette after his girlfriend dumped him. Do we need to keep going? Step 1: Track your spending. Check your bank statements and add up how much you’re spending on bills, fast food (don’t lie), Netflix, gas, and any other monthly recurring payments. This will help you see where your money is going and how much you’re actually saving. Step 2: Check your Savings Account. Ok, if you don’t have a savings account, turn back now because you’re not ready for this step. But if you do, GREAT! When buying your first home, no matter how new, things are going to happen. You have to be prepared for anything to come your way, like a dog driving a car and running into your living room. Life will throw curveballs and you’ll have to have a little money saved for those expenses. Step 3: RESEARCH! We know, you hated doing it in college, but this is your future home. You have to be as educated as possible about the housing market. The internet is your best friend (as usual) when it comes to research, but be sure to turn on your filters when searching online. We know your max home price isn’t $600,000 and ‘private tennis court’ shouldn’t be in your keyword search bar. Step 4: Use our Tools. On Q offers a ton of tools for you to learn about the mortgage process. Blogs, mortgage calculators, Simplicity mobile app, and our Mortgage Consultants are all available online at www.onqfinancial.com. Step 5: Do the math and know your options. 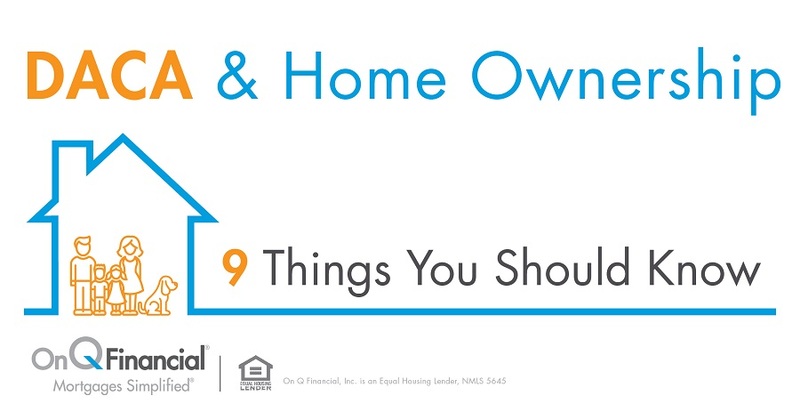 If you’re worried about a 20% down payment, On Q offers Down Payment Assistance (DPA) options for you with options to pay as low as 3% down. Visit our website for more information. If what we’re saying here is something you didn’t expect, you may want to do more research and check what you can afford with all those expenses in mind and consider the responsibilities. If you already knew and budgeted for these additional costs, then you’re more prepared to buy a home than you think! The sound of your upstairs neighbor stomping around at 1 A.M. or your next door neighbor’s dog barking has stopped appealing to you. You hate fighting for a covered parking spot and don’t really want to have to carry your groceries up two flights of stairs. These are all really good clues you’re ready for something more. This blog has made you crave the quiet of an empty house with multiple options of rooms for you to fall asleep in, no neighbors above or below you, private garage, and a yard for you to enjoy with the dog you can get now. We’re Millennials and pressure is EVERYWHERE, “Is that what you’re wearing? Get Married! Get a Job!! Buy a house! Move out already!” Ultimately, you have to feel that the time is right. Clues 1 through 4 are factors you should consider before moving out, but if you’re not ready for that leap, trust your instincts. At least know your options and be educated about the mortgage process and be able to know how to start planning for a home. Ok, stop daydreaming. We know this sounds appealing, but you have to take the first step. Contact one of our On Q Mortgage Consultants or visit www.onqfinancial.com for more information. We’re here to help you every step of the way. On Q’s Mortgage Consultants are industry experts with plenty of experience and knowledge to guide you through the mortgage process. Our website is available with mortgage education blogs, tips, and tools for every first time home buyer. On Q’s Mission is to make your dreams of home ownership a reality. We want to help you find your way Home.